1-2 isn’t what most people would call a good record, but looking at the Browns I’d say it’s decent. Out of the three games the Browns have played, all three have been decided in a last second field goal. The bad thing for Browns fans is the fact that Cleveland has been on the losing end 2 out of the 3 times. Week four is the bye week for Cleveland and there are a couple of things they’ll need to do to start winning games. The Browns are in what I would call a defensive slump. This defensive slump is the main cause of these close games that the Browns are losing. Teams are running all over the defense, it looks like they are just leaning to tackle out there. So far through three games the Browns have allowed 461 rushing yards against running backs who aren’t even considered elite in their position at the pro level. Even their star cornerback Joe Haden isn’t living up to expectations. He let Antonio Brown catch 5 balls, for 116 yards and 1 touchdown. He also gave up two touchdowns to Jimmy Graham, (which is kind of expected considering he’s Jimmy Graham). And in week three he blew coverage on Steve Smith SR. which put the Ravens in position to kick the game winning field goal. The Browns are going to have to establish a bigger defensive presence in order to prevent these close games. Another point of emphasis the Browns will have to look at this week is special teams. Not only the return game, but punting, and kicking as well. Travis Benjamin has been able to do little-to-no damage returning punts this season. This past week Travis only took a chance at returning one punt, which he muffed. Cleveland may need to look at a new option to put back returning punts. On the other hand there is defiantly a problem with protecting Billy Cundiff when he is kicking field goals. I went back and watched the game winning field goal Billy kicked week two against the Saints, the only thing I could see is a blown coverage from the offensive line, and the ball coming inches away from being blocked. Exactly one week after that Cundiff was set to kick another field goal that would have taken the Browns up by 2 scores, but another offensive line breakdown resulted in a blocked field goal, which ultimately cost them the game. Punting hasn’t been too bad for Cleveland this year, but the final punt against the Ravens was probably one of the worst in Spencer Lanning’s career. Now I’m not sure if he is still feeling side-affects from the kick to the face week one, but he’ll have to step up his punting game in the future. On the other side of things the offense has looked great. This comes off as a surprise to most people, especially since the Browns are without Josh Gordon, Ben Tate, and Jordan Cameron is coming off a shoulder injury. 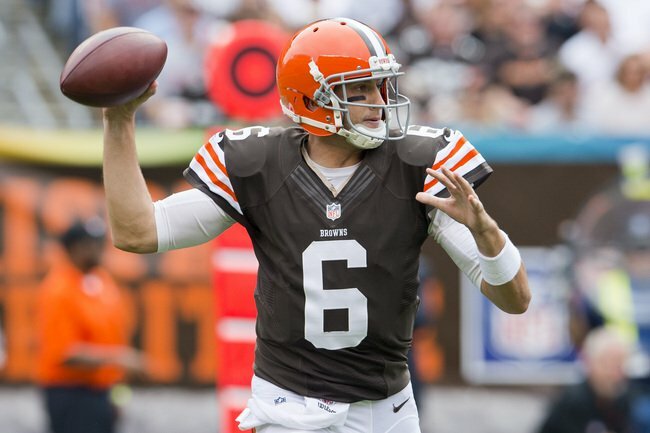 Brian Hoyer has been able to find other receivers, and do it without throwing turning the ball over. Rookies Terrance West, and Isaiah Crowell have had no trouble picking up the slack from the injured Ben Tate. Looking at the Brows upcoming games they should be able to get things on the right track if they slowly start to improve in these areas. There next game is at Tennessee on October 5th.